'Showroom' tax goes live | What Car? The Government's new 'showroom' tax comes into effect today, so anyone buying a new car will be liable for this new one-off charge. We answer your questions. What is the so-called 'showroom' tax? The new tax is a one-off first-year payment on top of the usual vehicle excise duty rate. When will I have to pay it from? The new tax is payable from April 1. It's no joke, either the new tax could add an extra 515 to your road tax bill. 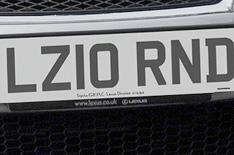 The payment is based on your new car's CO2 emission and will add between 70 and 515 to your first road tax bill. The new tax will be payable on all cars registered from April 1. The table below shows how the additional tax will be charged.